Hey! I see most of the people wasting time in searching for data cables to transfer files from their smartphones to their PC, if not data cable then those slow bluetooth. Well kinda bad yeah? Don't worry! Here today we introduce a method through which you can transfer files between your smartphone and PC with lightning speed, that too absolutely free. In this post, we'll be describing how can you use xender to transfer files among different gadgets. Well what is Xender? 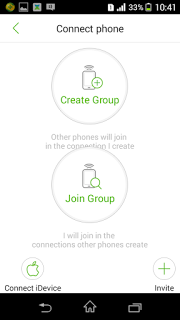 Xender Apk is an application that connects two or more smartphones to share photos, applications, and other media. It was founded by Xender Team, originally known as Anmobi.inc. You can use xender in Android, iOS and windowns phone but not in your PC, then how come we can use it to transfer files from pc to android or vice versa? Well, the answer lies below. Read our tutorial completely and get to know what wonders this awesome application can do, and here I am not being frivolous! First you need to install Xender application in your android/ios/windows phone, for that head over to play store or apple store or whatever. Search for xender, and hit install! After that, wait for a couple of seconds so that the application gets installed. Now you are ready with your phone, same you need to do with you PC, but now the thing is that xender is not available for PC so what to do? Here kicks in bluestacks! With this super witty application you can run any android app you want in your PC. Now, go to bluestacks.com and download bluestacks, after it gets downloaded, go through the install menu and get the application ready. After that with this emulator you can either directly head over to play store and download xender from there or you may like to download xender apk. Follow the link to download the apk. Install Xender on bluestacks emulator also. Now you are completely ready to transfer files, so read our second portion on how to use xender application. These were the two methods with which you can easily share files between your android/ios/windows smartphone to PC. If you have any queries then you may comment below and we'll be happy to answer you. Thank you! Thanks for sharing, to transfer files between android phone and computer, Coolmuster Android Transfer could also help, we can use it to transfer almost everything from android phone to computer, like sms, contacts, photos, etc.